We’re pleased to announce that today’s “10 Questions for Comics Creators” subject is also now a contributing columnist for ComicsCareer.Com. 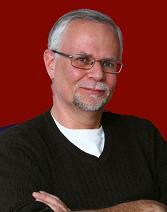 Paul Kupperberg is a long-time comics writer and editor, most associated with his long career at DC Comics. He’s lending his experience to our site in a series of eight columns, titled “Things I’ve Learned Along the Way.” The first installment is available today; future installments will be published each Monday. Paul began his career at Charlton Comics in 1975 and has never looked back. At DC Comics, he’s written a little of everybody, from Arion to Zatanna. He is the author of several books, numerous short stories and novellas, young adult non-fiction books on subjects ranging from pop culture to hard science, online animation and syndicated newspaper comic strips. In addition to being an editor for DC Comics, he’s also been Executive Editor of Weekly World News and Senior Editor of WWE Kids Magazine. His latest work can be seen in the humor book Jew-Jitsu: The Hebrew Hands of Fury (Citadel Books, 2008), a short story in The Avenger Chronicles (Moonstone Books, 2008), back-up stories in every issue of Captain Action comics (Moonstone Comics), and sundry issues of DC Comics’ Cartoon Network titles and Bongo Comics’ Bart Simpson Comics. Kupperberg lives in Connecticut. Be sure to check out his blog, www.kupperberg.blogspot.com. When I was about five years old. I started writing and drawing my own comic stories when I was seven, eight years old and never stopped. I never really considered doing anything else with my life but write and, for the most part, I’ve been successful doing just that. Outside of comics, my influences seem to be mostly comedic: Jerry Lewis, Ernie Kovacs, Allan Sherman, Bob & Ray, the great Jack Douglas and other absurdist comedians and writers. In literature, I gravitated towards the great adventure writers, like Burroughs and Jack London, with F. Scott Fitzgerald, Ernest Hemingway, Phillip Roth and some others thrown in for style and chops. What can I tell you? I was an English lit major and some pretensions never fade. Growing up, I read the likes of Gardner Fox, John Broome, Bob Kanigher, Bob Haney, Stan Lee, Roy Thomas, and others of that generation and I’m sure they all influenced me in some way. Stylistically and for pacing and format, I used to rip off Len Wein and David Michelinie a lot. I saw David at the 2009 Comicon for the first time in about 20 years and finally confessed my theft. But I guess the person who had the biggest influence on my comics career would have to be Julius Schwartz. His books were the best in the business at the time (JLA, Green Lantern, The Flash, Mystery in Space, The Atom, Hawkman), heavy on story, focused on plot, and wrapped up in clever, interesting ways. Later on, I got to write for Julie on the Superman titles and kept learning from him as I tried to come up with stories that fit the Schwartz formula, something I still strive for today, albeit done with a more modern flavor. I get up and walk away from the computer. I read something totally unrelated to what I’m working on, I watch a movie, or go for a drive, anything but think about the job at hand. Joseph Conrad said, in effect, “Thought is the enemy of art.” I think what gets people in trouble is thinking too much about it. The subconscious is a miraculously creative machine; leave it alone, don’t push it, let the ideas stew in your mind for as long as necessary, and the ideas will, sooner rather than later, start flowing again. Worry about it and the worry will just make you even more creatively constipated. I get up about 7:00 AM, shower, grab coffee, and sit down at my desk by about 8:00, 8:30, check and answer e-mail, catch up on some news on a couple of websites, then turn to the project at hand. I usually work through the day, taking small breaks here and there to stretch my legs and clear my head, grab some lunch, run a couple errands, but for the most part I try to stay at the desk and work until early evening. If I’m on deadline, I’ll go back to it for a few hours after dinner, too, but that’s rare. I use Microsoft Word on an Apple Mac Mini and about four or five of my ten fingers to type. I love the process of writing: working out the problems, making the story fit, the spontaneity of the writing itself that creates the occasional great sentence or paragraph or perfect line of dialogue. And, I’m not ashamed to admit it, even after about 700 published stories, I still get a thrill receiving that just-printed book or comic and holding it in my hand. At the moment, it’s the recent completion of an original mystery novel that I finished up in October 2008 and is currently making the rounds in search of a publisher. While I’ve written several novels before, those were media tie-ins starring Spider-Man, the Hulk, and the Justice Society of America. Typing “The End” on my first original was so rewarding, it was worth the blood, sweat and tears that went into the 75,000 words that proceeded them. “Pay your quarterly income taxes.” No kidding.